Red for me, Yellow for Daddy, and Purple for Mommy! Davey is very excited this morning. He wants to go get his beanbag. He’d talked with Daddy last week about the possibility of getting a beanbag. This was initially Daddy’s idea. The plan was that as Davey mastered part of his potty training, we’d get him a beanbag. Somehow it has transformed into something he is ready to get right now, and now he also wants David and me to get one too. He’s got our colors all figured out. I guess we could get rid of the couches and go total beanbag. We went out to Glenwood yesterday to Mama Pearl’s. Davey promptly threw up as soon as we arrived, but after that he was fine. It’s a hilly curvy road to Glenwood, and I always get carsick, so I think that’s what happened to Davey too. But after that, he had a wonderful time. 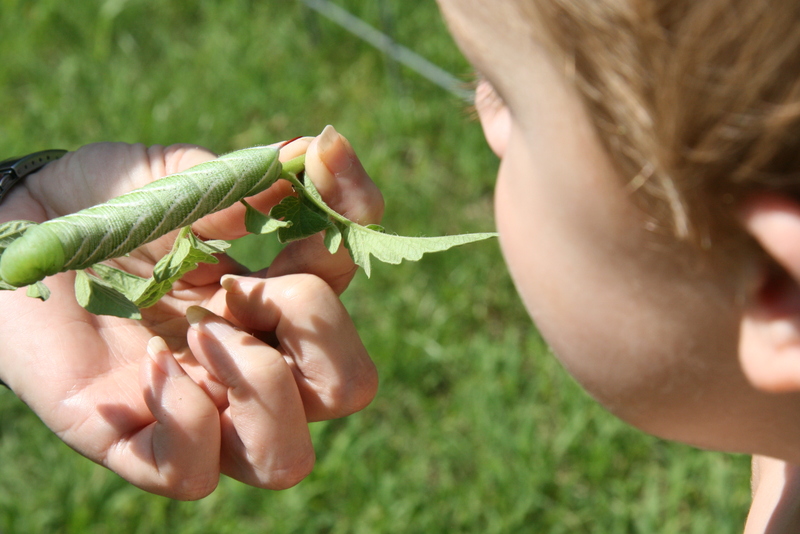 We looked for tomato worms in the garden. Pearl found one. They are huge! Davey was pretty fascinated by it. Davey played with Mitzi, (their Schnauzer), he played with a flashlight for a very long time, he watched Daddy and Papa Jerry build the closet, he ate cookies, he played outside, he wore himself out! I didn’t knit much on my sock yesterday. I did manage to knock all the stitches off one needle, and I still need to go make sure I picked them all back up and get that going again. I am still trying to get my other thing done. As soon as it’s done in the next few days, I look forward to getting back to my socks. I very much like knitting the other things, but I am rather possessed by socks these days! Time to go look at beanbags before it gets too hot to move! 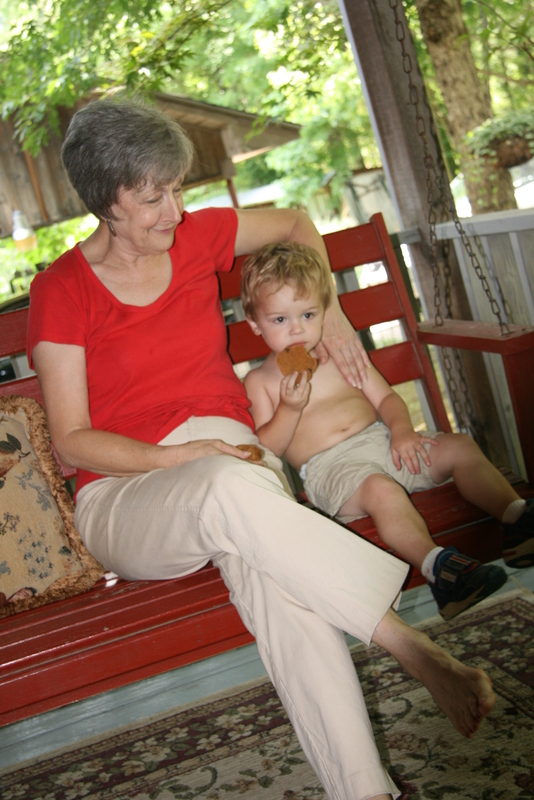 Oh and a final picture of Davey having a cookie on the swing with Pearl. They have the best porches at their house!